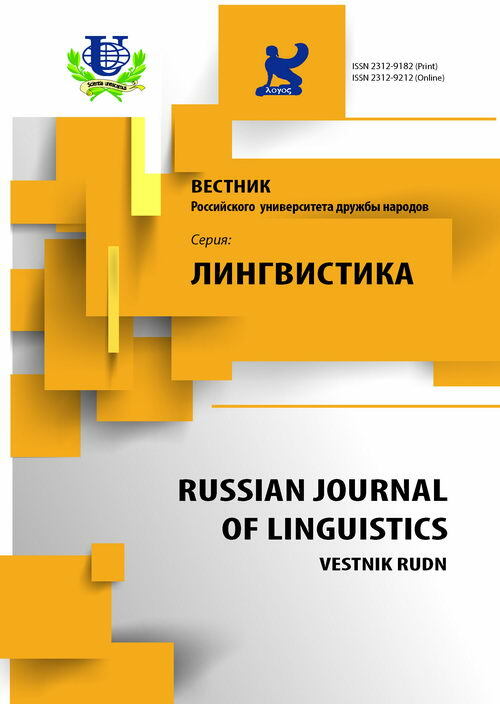 The article focuses on the symbolic meaning of Russian ringing of bell in the Russian discourse. According to Lotman’s definition of symbol, it has dual nature: an invariant essence and its modification in relation to the cultural context. 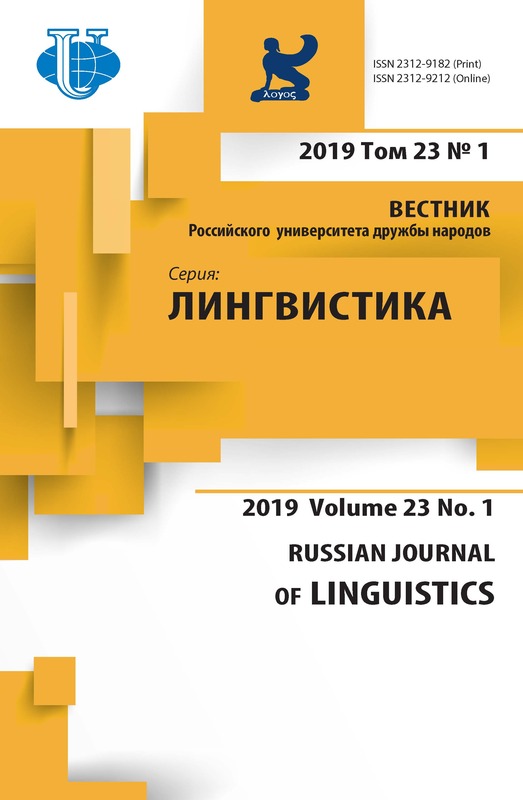 The article introduces informative and linguistic modifications of the bell topic in the Russian poetic discourse of the 19th, the 20th and the beginning of the 21st century. The author of the article provides the detailed analysis of such discursive descriptions of bell ringing as the ringing of church bells and alarm . The author arrives at the conlusion that the alarm topic prevails in contemporary poetry and this indicates the state of public dissatisfaction. In the 19th and the 20th centuries lexemes the ringing of church bells and alarm were used literally, but in the 21st century lexeme alarm acquires metaphorical meaning of call for blood. bell poetry’, the nature of symbol, bell and bells, the ringing of church bells and alarm, the state of society and poetry. Большакова Н.П. Колокольный перезвон. Колокола в литературе, музыке и живописи. Мурманск: ОПИМАХ, 2011. Владышевская Т.Ф. Древнерусские колокола и звоны // «Русское возрождение». Нью-Йорк; М.; Париж, 1998. № 72. С. 63-95. Григорьев А.Л. Символизм. URL: feb-web.ru›Символизм. Каровская Н.С. Феномен колокола в русской культуре: Дисc.. канд. культурологии. Ярославль, 2000. Лотман Ю.М. Символ в системе культуры // Лотман Ю.М. Избранные статьи. Т. 1. Таллинн: Александра, 1992. С. 191-199. Никольский К. Пособие к изучению устава богослужения Православной церкви. 7-е изд. СПб. : Синодальная Типография, 1907 (репринтное издание: М., 1995). URL: religiocivilis.ru›hristianstvo..2882-blagovest.html. Пришвин М.М. «Когда били колокола..» (Из дневников 1926-1932 годов) // Прометей. Историко-биографический альманах. М., 1990. Т. 16. С. 411-422. Степанова Н.В., Мельничук Г.А., Попова О.И. Колокольная тема в книгах и периодике // Библиография. М.: Рос. кн. палата, 2013. № 1. С. 125-136. Шарманова О.С. Метафтонимия как концептуальное взаимодействие // Вестник ИГЛУ. Иркутск, 2011. № 1. С. 194-200. Copyright (c) 2014 Лассан Э.Р.